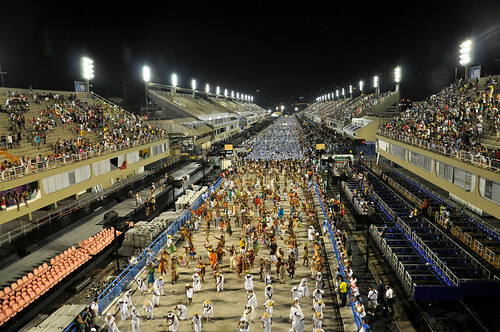 The Sambadrome Marquês de Sapucaí is the purpose-built stadium located in Rio de Janeiro, Brazil, designed specifically to host the annual parade of Samba Schools during Rio Carnival. 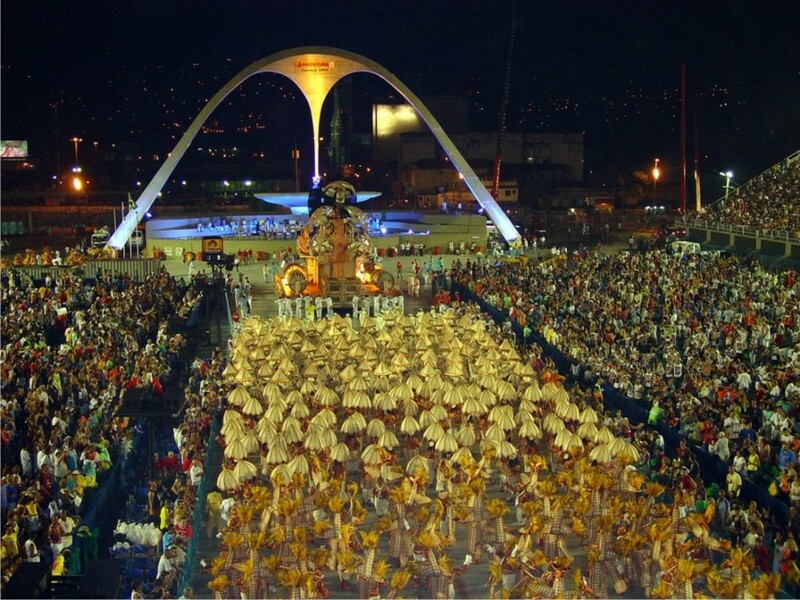 On this page you will learn about how the Sambadrome came to be, starting with the history of Carnival in Rio all the way through the most recent renovations to the venue. 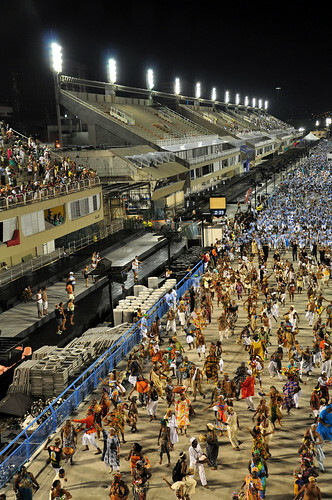 Explore the fascinating history of the Sambadrome Marquês de Sapucaí and the legendary Samba runway, officially known as Passarela Professor Darcy Ribeiro, named for the former Brazilian Minister of Education and Cultural secretary during the Brizola administration who was instrumental in advocating for the construction of the venue. 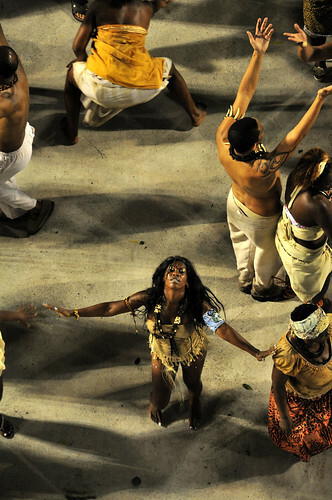 Learn how the Sambadrome came to be, from the early history of Rio Carnival to the more recent renovations. The Sambodromo was designed and built in 1984 by world-renowned architect Oscar Niemeyer. 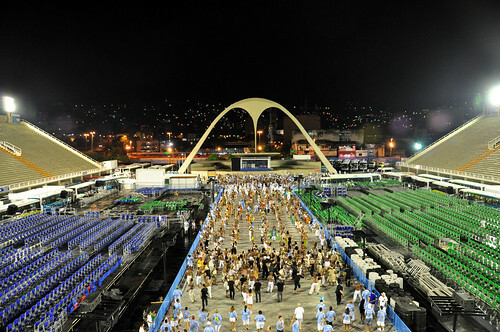 The venue was commissioned by the first government of Governor Leonel Brizola (1983-1987) as a means of providing the city of Rio de Janeiro with an urban venue to serve as the permanent grounds for the annual spectacle of the Parades of Samba Schools during Carnival. The project began after Oscar Niemeyer returned to Brazil in the early ’80s, at the beginning of the political opening policy, a time in which amnesty was granted to Brazilians living in exile during the government of military leader João Figueiredo. At the time, anthropologist Darcy Ribeiro, a good friend of Niemeyer’s, was deputy to formerly exiled Brizola, elected governor of the state of Rio de Janeiro in 1982. The Sambadrome was commissioned on September 5, 1983, just 5 months prior to Carnival! In fact, in August of 1983, just a month before the venue was commissioned, the State Government of Rio de Janeiro made an announcement that the parades would be held at Maracana Stadium! 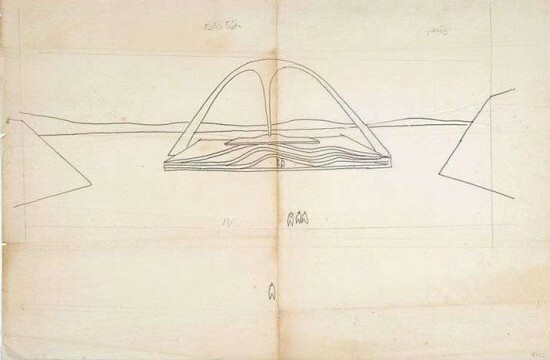 Only a month later, on September 11, 1983, Oscar Niemeyer revealed his groundbreaking design for the project — a design that would inspire Carnival parade venues around Brazil. The festival of Rio Carnival has taken place in Rio de Janeiro, Brazil since the early explorers first discovered the New World. 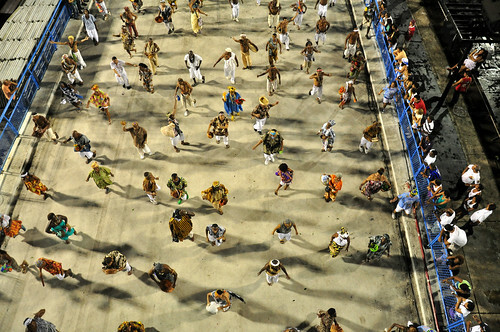 Historians largely agree that the first known record of Carnival in Rio de Janeiro took place in 1723. From that year on, Rio Carnival grew bigger and bigger until it eventually became a defining symbol of the Marvelous City of Rio de Janeiro. 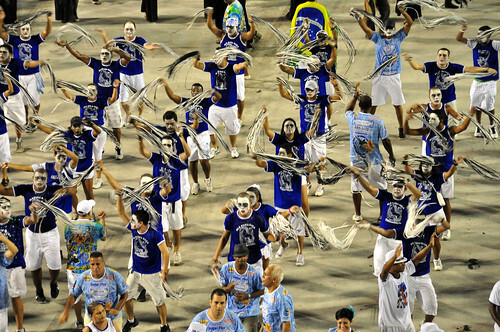 As more and more settlers brought their traditions with them from Portugal to Brazil, the pre-lenten festivities of Carnival developed a new form that would mark a new form Carnival expression unlike any other in the world. The Carnival tradition of Zé Pereira was introduced in the middle of the 1800s by a Portuguese shoemaker named José Nogueira de Azevedo. 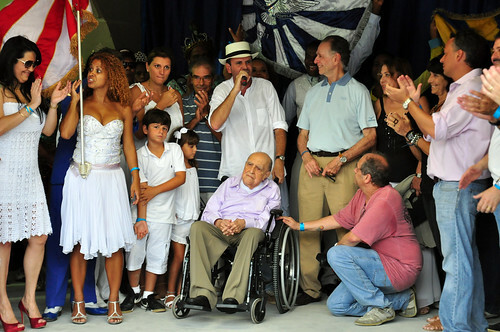 Zé Pereira refers to the parades organized by Azevedo and a group of his friends. In the parades of Zé Pereira, people took to the streets on Carnival Monday, marching, parading, drumming and whistling while playing on the tambourines. José Nogueira de Azevedo welcomed everyone to join in on the festivities, and parades became a major part of Carnival in Rio. 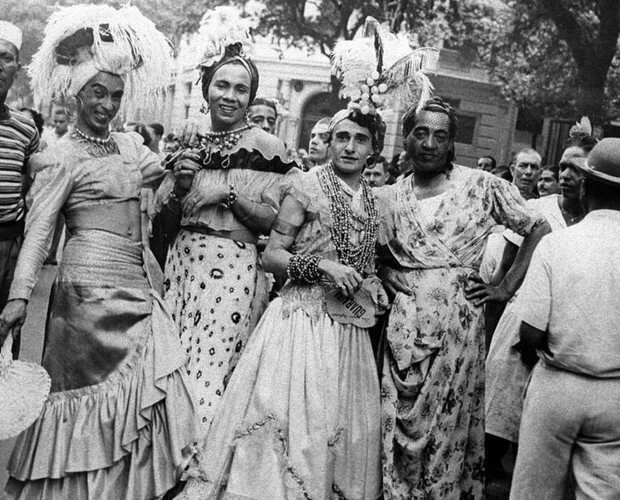 From the tradition started by Zé Pereira, Carnival parades developed into something greater than anyone could have imagined. The parades began to take a more structured form. 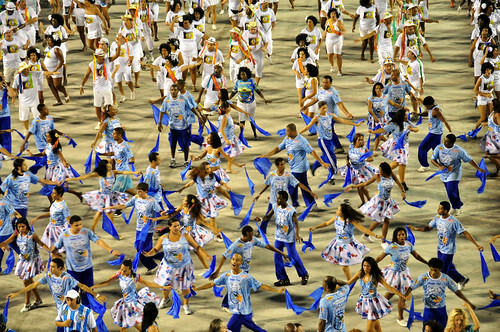 Each member of a group or bloco playing a specific role in the preparations and performances of the parades. 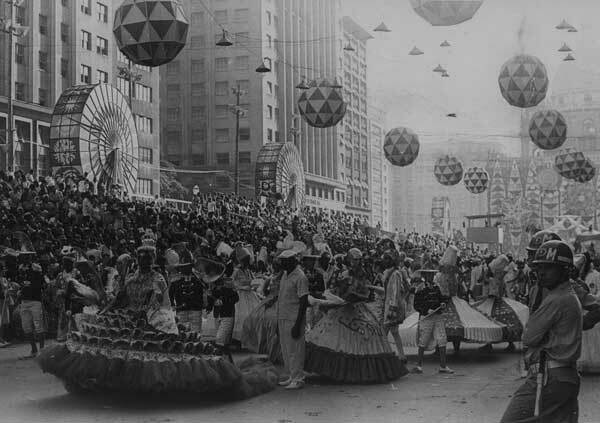 The first official Rio Carnival parade happened in 1935 at Praça Onze, and remained at that location for 30 years until it was moved to the Avenida Presidente Vargas and finally to the Marquis de Sapucaí, where it remains today. Up until the middle of the 1980s, the Samba Parades of Rio Carnival were held along the main street of Avenida Presidente Vargas. Each year bleachers were built on both sides of the road in preparation for the parades. And, each year, the bleachers were taken down after the Carnival holiday came to a close. 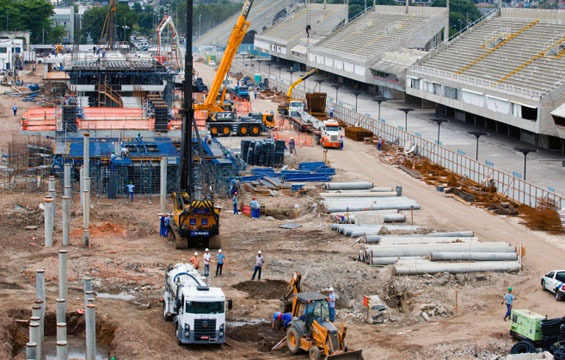 Many complained of the economic waste of paying construction companies each year to build and take down bleachers, fences and other seating structures along Avenida Presidente Vargas. 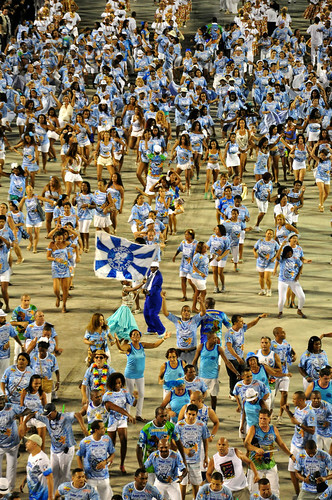 As revelers from around the world started traveling to Rio de Janeiro during Carnival, the streets flooded with people and it became apparent that the Samba Parades of Rio Carnival would need a permanent home of their own. After the end of the military dictatorship that ruled Brazil, the new government of Governor Leonel Brizola commissioned visionary Brazilian architect Oscar Niemeyer to design the new venue. Initial the idea was to build the Sambadrome at Avenida Presidente Vargas, the legendary home of carnival parades. 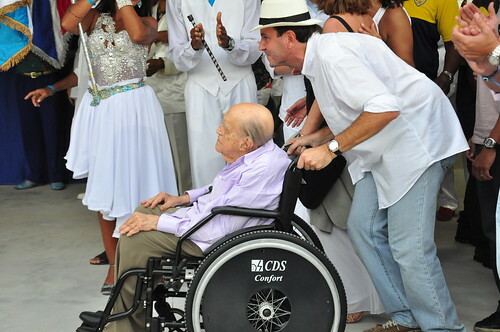 But the then vice governor of Rio de Janeoro Darcy Ribeiro successfully advocated that the venue be build at the recognized birthplace of Samba, Marquis de Sapucaí, near Praça Onze. 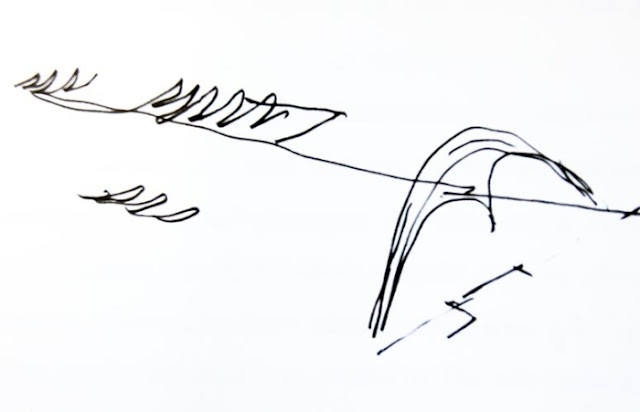 Niemeyer had already worked for Brizola on other projects that all aimed to support his ambitious program of building new infrastructure projects including schools, recreation programs and housing. In an effort to consolidate the educational and cultural projects of Darcy Ribeiro, Niemeyer designed the new home of Rio Carnival to include 115 classrooms underneath the bleachers of sectors 4, 5, 6, 7 and 9. 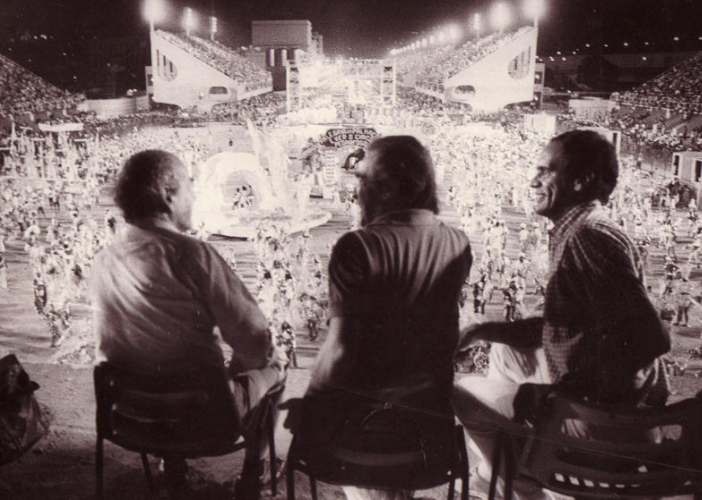 In 1983, Oscar Niemeyer designed the plans for Rio Carnival’s new home to be called the Sambadrome. The Sambadrome is a classic design by Niemeyer, who often incorporates concrete in his modern structures. Niemeyer’s initial designs showed a perfectly symmetrical structure, with individual concrete sections, called sectors, spread equally along what would become the Samba runway. 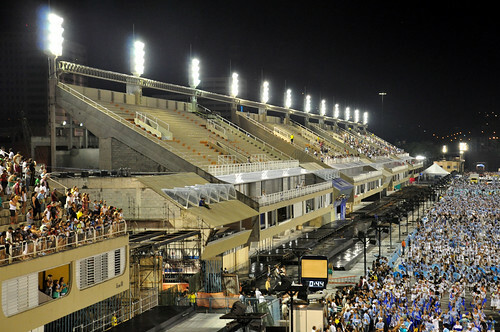 Furthermore, all sectors were originally intended to be the same size and style, with grandstand bleachers on the top, open air front boxes on the same level of the Samba Parade route and luxury sky boxes in the middle. However, the initial plans had to be modified in order to accommodate for an old local factory that was still operational and used for the Brahma Beer company. Therefore, rather than building individual sectors on the even side, the decision was made to make one long sector that included more luxury boxes. Built on the grounds of the recognized birthplace of the samba style of music, the Sambodromo parade route begins at Avenida Presidente Vargas and ends at the Apotheosis Square on Rua Frei Caneca. 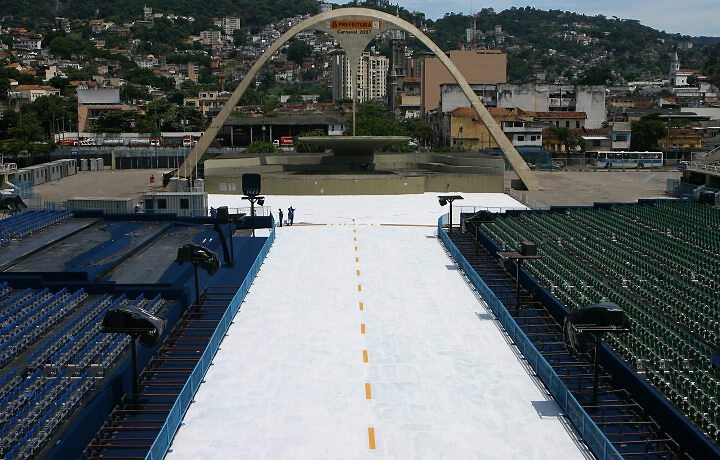 In only 110 days after construction began in 1983 and costing approximately $15 million, the Sambadrome was constructed with stadium-style seating erected on both sides of a 700 metre, which translates to roughly half a mile, stretch of the street, Marquês de Sapucaí. 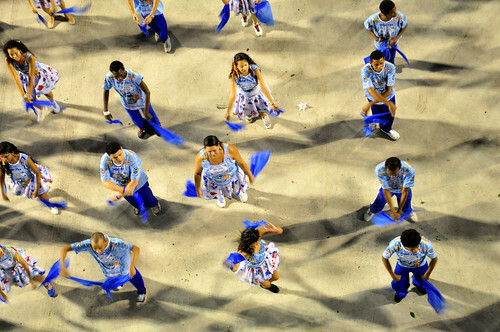 On March 2, 1984, just in time for the inaugural Sambadrome Parades of Rio Carnival, the Sambadrome was inaugurated. 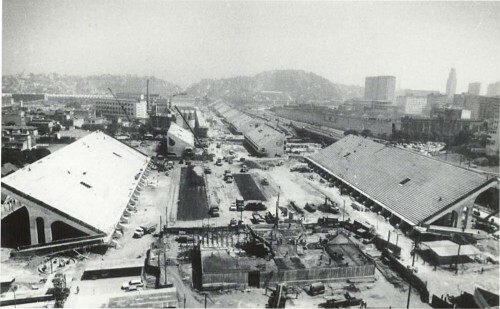 The construction of the Sambadrome in Rio de Janeiro was controversial for three reasons. First, the controversy related to the property rights of the Brahma Brewing company. After the initial design, the government overturned the decision to knock down the old factory. Second, the decision to make the venue purely out of concrete was heavily scrutinized. The third reason the construction of the Sambadrome was controversial relates to the issue of transit. At the time, Cariocas feared that the construction of such a major complex on a main road in the city would worsen traffic. Over time, these fears were proved unfounded. For one, Niemeyer’s modern exploration of the aesthetics of concrete have become symbols of Brazilian architecture. Second, the law prohibiting the demolition of the urban factory has been repealed by the courts. What’s more, the issues related to traffic and transportation were skirted by streets that intersect the venue, cutting through the gaps in sectors and decreasing the effects of traffic. Today, the Sambadrome Marquis de Sapucaí has proven to stand strong against the tests of time. 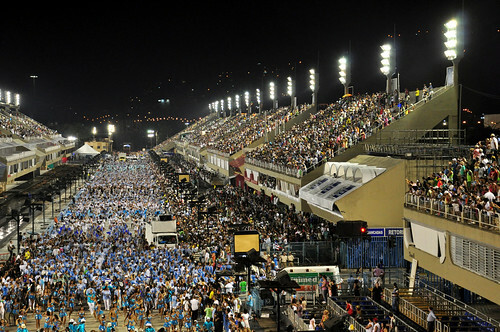 When it was completed in 1984, the Sambadrome initially provided seating for around 70,000 spectators; however, amid concerns over venue capacity when Rio de Janeiro won the bid for the 2016 Summer Olympic Games, a consensus was reached that the historical stadium of samba would need to undergo renovations to increase the amount of seating in preparation for hosting the largest international sporting event in the world. The city of Rio de Janeiro reached an agreement with the owners of the old Brahma Beer factory whereby Brahma would fund the renovation project in its entirety at a tune of US$19 million, in exchange for the beer company being permitted to build an office building directly behind the even side of the Sambadrome. As part of the agreement, the building will not only be filled with Brahma offices, but it will also house government offices. 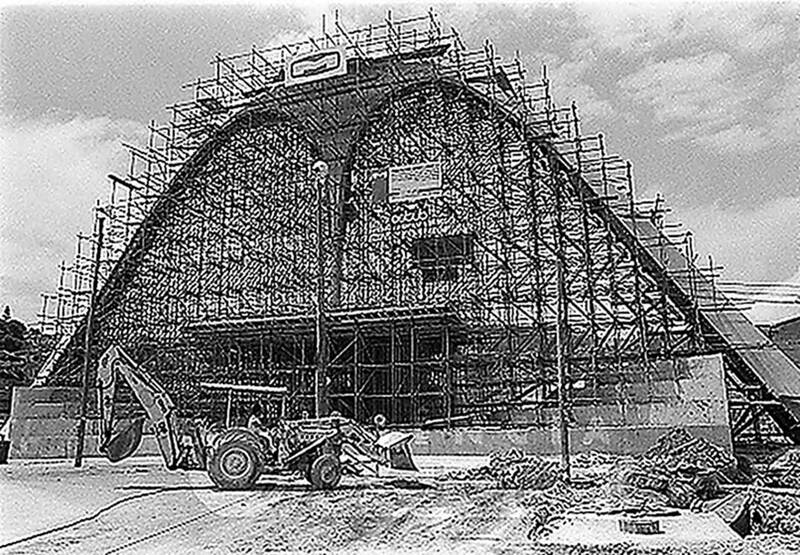 Both the even side of the Sambadrome and the old Brahma factory were demolished and new individual sectors were added to raise the seating capacity of the venue to 90,000, allowing for the new Sambadrome to be built according to architect Oscar Niemeyer’s original symmetrical design. Sector 2, which was formerly one long sector with only indoor suites, was replaced by individual concrete sectors — Sectors 2, 4, 6 and 8 — situated directly across the Samba runway from Sectors 3, 5, 7, and 9. 12,500 new seats were added with the completion of the new even side of the venue and other improvements were also made. 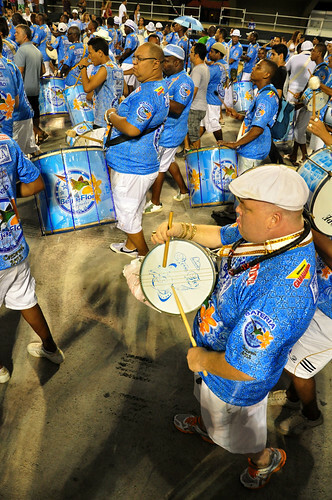 The Sambadrome, meaning the “stadium of samba” is all about the pulsating beat of the bateria, or percussionists of the samba schools. Everyone was happy to find that the new design — which was in fact the old design — had the effect of improving acoustics dramatically. What’s more, with each sector now being identical to one another, the visibility for certain sectors was also greatly enhanced. As a whole, the Sambadrome was made more aesthetically pleasing as the balance was restored with the demolition of sector 2. Additional enhancements include balconies that have been added to the boxes located in the even sectors of the Sambodromo. 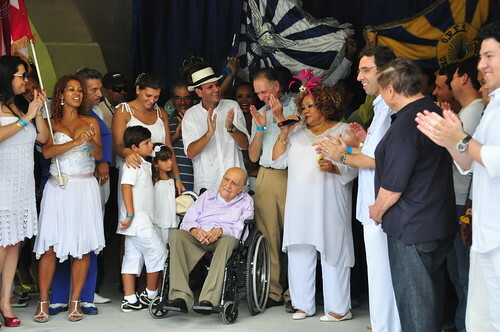 In the beginning of 2012, the renovations to the Sambadrome were complete and a grand inauguration ceremony was held just a few days before Carnival. 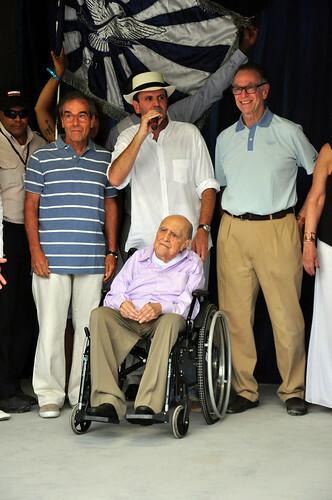 The ceremony was held on the 7 of February 2012, with Rio de Janeiro Mayor Eduardo Paes and the mastermind architect Oscar Niemeyer, then 104 years old, present as a guest of honor.